Avoided deforestation can be characterized as the use of financial incentives to reduce rates of deforestation and forest degradation, with much of the focus on forests in tropical countries. While avoided deforestation, as a policy issue, is not new, the current debate in academic and policy circles on including it in future climate change mitigation strategies such as the Clean Development Mechanism is gathering pace – and this debate is only likely to intensify as negotiations continue over what should be included in the successor agreement to the Kyoto Protocol, which is set to expire in 2012. Up until now, however, the debate in terms of the scientific and economic implications of avoided deforestation has not been brought together. 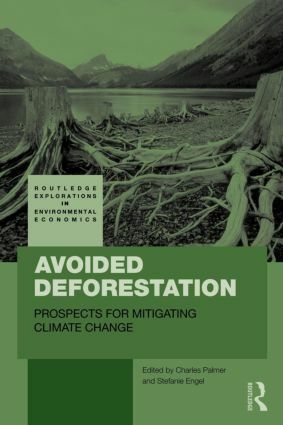 This book aims to bring together important research findings in the area along with their policy implications, whilst linking avoided deforestation to political economy as well as to the latest developments in environmental and natural resource economics. Introduction: Reducing CO2 emissions through avoided deforestation? Will credits from avoided deforestation in developing countries jeopardize the balance of the carbon market?